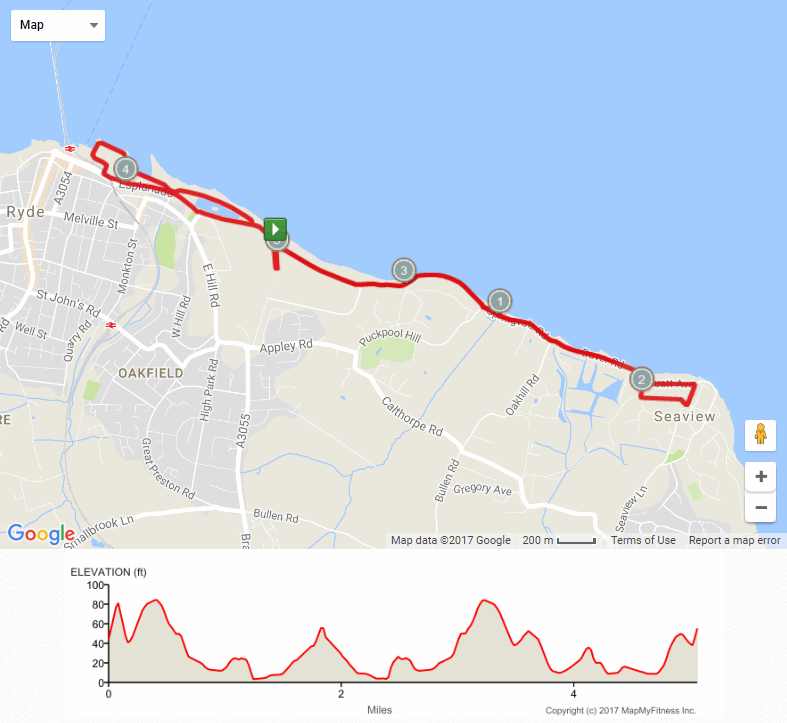 Start by the corner of Three Buoys facing up hill, up Appley Lane as far as the carpark entrance and then down the other side of the road divide towards the sea front. Turn right, along to Appley past the tower, heading towards Seaview. Go along Duver Road to the end (2 mile), turn into Bluett Avenue then right into Seafield Road, right into Fairy Road and right into Saltern’s Road. Note: For non-Championship races its anti-clockwise round Seaview. Continue along the seafront passing the canoe lake on the left-hand side, along the Esplanade turning right after the bowling alley (4 mile), and go right up to the Hover travel office. Turn right and follow the path around the sea wall, and head back past the canoe lake on the left-hand side, finishing at the club.